We have a giant fan to cool you off as you wait for your brew. It’s pretty awesome—and so are the beers! #ALrestaurantweek is here! For $10 at lunch, you can enjoy our award-winning seafood gumbo and our homemade shrimp salad with fruit. Or, join us for dinner, as we feature gumbo, our signature redfish bienville, and homemade bread pudding with warm rum sauce, all for $30. Today until Sunday, 8/24, all #wintzells locations in AL! 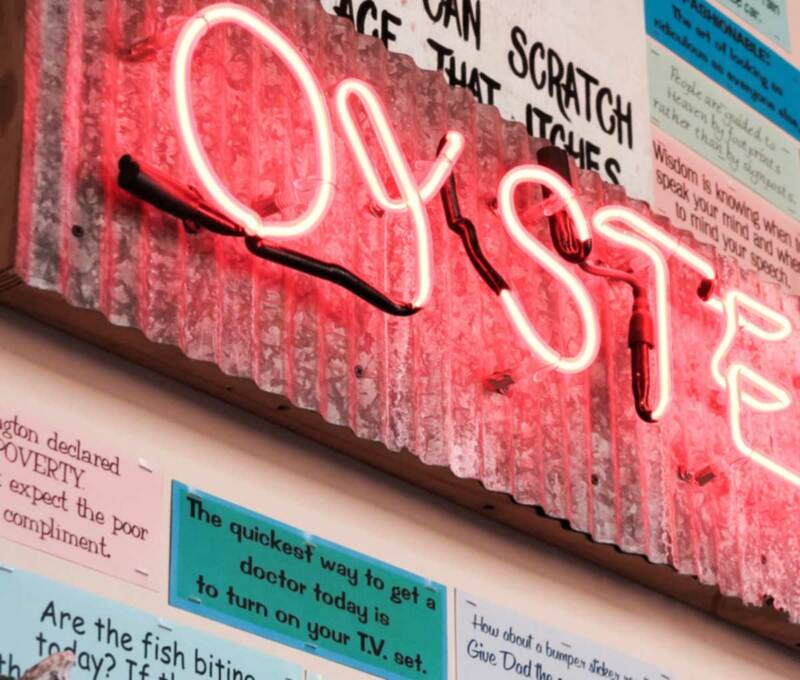 Tomorrow is our favorite food holiday: #NationalOysterDay, of course! Who’s excited about $5 raw dozens and $7.50 chargrilled dozens?! Country singer and guitarist Corey Smith joined us for dinner last night and then took a moment to make the evening extra special for Becca, Chelsey and Samantha. What a nice guy! We are gushing over this #engagement story: Michael and Laura met at #wintzells last September, and tonight it’s where Michael proposed…and Laura said yes! Our best wishes to this wonderful couple! Thanks to you, the fans! We couldn’t have done it without you. And HBD @lagniappemobile! Cheers to another year of keeping things funky! National Oyster Day is on the horizon, and to celebrate our iconic eats, we’re headlining August 5th with some sweet specials for our fans, including $5 raw dozens and $7.50 chargrilled dozens! Join us and our friends @goodpeoplebrewingco this Saturday at 2pm at Wintzell’s on Dauphin. It’s gonna be a blast to benefit the Mobile Law Enforcement Foundation! Happy anniversary to The Oyster Trail! A year ago today this beautiful statue was unveiled, featuring the legendary Willie Brown. Check it out tonight at LoDa ArtWalk!